Each summer, the BCTA hosts a USTA-sanctioned tournament for Boys’ and Girls’ in the 14-, 16- and 18-and-under age divisions. And during winter months, it offers indoor tennis at four facilities. Tennis Championships, which will be the first time in nearly a century that this event will be in the Philadelphia area! 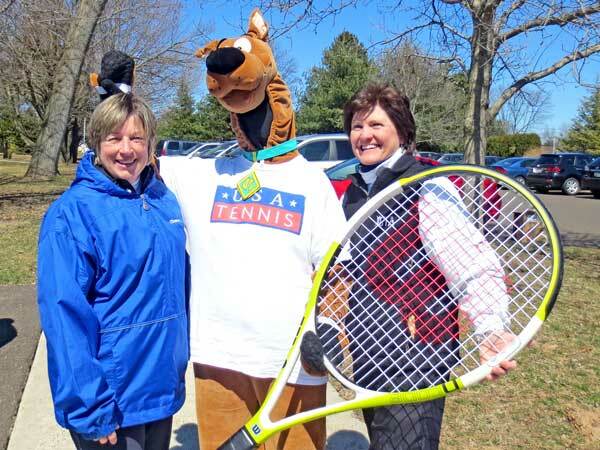 PHOTO CAP: BCTA Board members Barb Long (left) and Laura Canfield with Scooby-Doo, at the annual spring Tennis Ball Hunt.